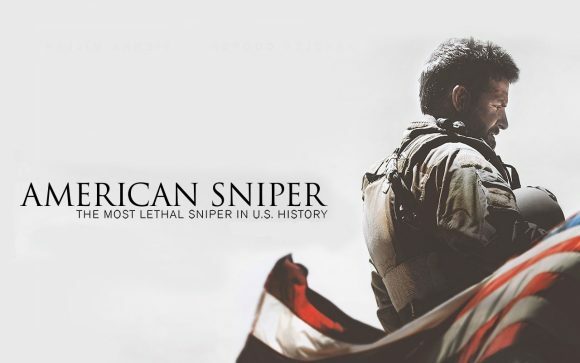 TVNZ 2’s movies dominated on Saturday night but the network’s free-to-air premiere of American Sniper on Sunday was slaughtered by the competition. It averaged 2.5% of 25-54 year-olds, compared to 5.8% for Broadchurch and 3.9% for Transformers: Age of Extinction. Broadchurch won the 8.30 hour in this demo and Transformers was tops from 9.30-11.30, winning in the 25-54, 18-49 and 18-39 demos. Transformers had the edge with 18-49 year-olds, though, averaging 3.7% to tie with Broadchurch while American Sniper snared only 2.3%. That was despite Sniper having a bigger lead-in from My Kitchen Rules (4.3%) than Transformers had from The Bachelor (3.1%). The Bachelor also lost to TVNZ 1’s Sunday in both the 18-49 and 25-54 demos while Hyundai Country Calendar out-rated both it and The Simpsons at 7.00. Saturday’s Treehouse of Horrors ep of The Simpsons was part of a clean sweep that TVNZ 2 made from The Nut House through to The Expendables 2 and The Man. Three owned Friday night, however. For the fourth week in a row, The Graham Norton Show, 7 Days, Fail Army and Newshub Late won the core demos: 25-54, 18-49, 18-39 and household shoppers with kids. Hi Philip, just a quick query, is the Empire spin-off Star coming to TV2 or has it been left on the open market for a broadcaster or streamer to purchase? Will check with TVNZ 2 but would suspect it hasn’t picked up the spin-off given how sharply Empire has softened in the ratings. It’s sticking with Empire — season three’s due to start next month — but how TVNZ 2 views the series is clear from its scheduling: it used to be the lead-in to Grey’s Anatomy but will now be the lead-out. TVNZ has confirmed it’s not picking up Star. Cheers Philip for the reply. I am disappointed they have decided to not pick it up. Would of made a nice pairing with Empire or as the lead-out from The Voice Australia when it returns. Has Media works or Prime shown an interest in picking it up or is it heading straight to Netflix? MediaWorks and Prime won’t want it but it could turn up on Netflix, Lightbox, or Sky’s Neon or its entertainment channel, The Vibe.